If you are after a strong morning pick me up, then this will have you covered. After a big night I needed a strong coffee and a healthy breakfast. It made me incredibly happy this morning, and woke me up nicely for the day. I will certainly make this again. It is the second smoothie I’ve made with coffee in it, and both this and my eye opener smoothie taste completely different, so I’m happy to have options. 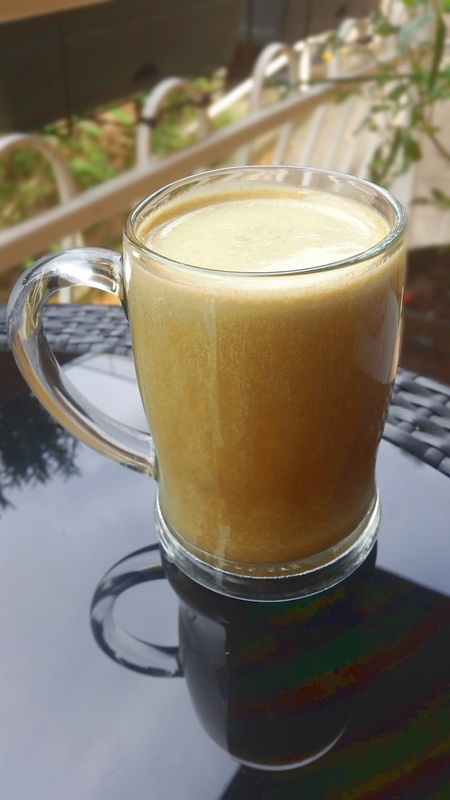 While this is called a green smoothie, the amount of coffee in it outweighs the spinach so I guess it is technically brown, with the goodness of green – for the win! 1 cup of cold pressed coffee or chilled coffee, brewed the night before. Swap the cocoa for milo or another hot chocolate powder if you prefer this a little sweeter. You could also add a bit of honey to this, which could be quite nice. If you want this to be a bit more filling, then add some oats. If you are pre-preparing some coffee in the fridge anyway, why not soak some oats with some chia seeds in water to add a smoothness and to ensure that you are not feeling peckish too soon after breakfast.